Felissimo Corporation (Head Office: Kobe City, Hyogo/President and CEO: Kazuhiko Yazaki) announced the latest series of “500 Colored Pencils” called “Felissimo 500 Colored Pencils TOKYO SEEDS.” Sales will be launched overseas on March 9. 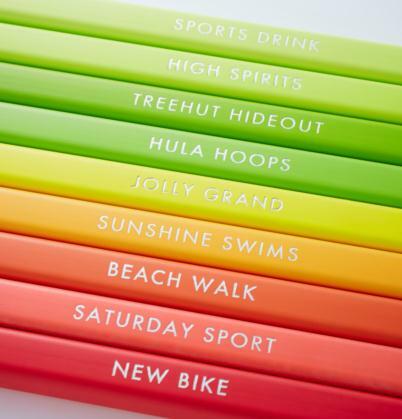 The colored pencils will be delivered all over the world from Japan. This is the 4th edition of a series launched in 1992 that has since sold 50,000,000 colored pencils in 100,000 sets around the world. The smooth writing feel of the thick lead and the unprecedented thick square form with just the right roundness are a produce of Japanese quality, created by a Japanese pencil craftsman. The stunning beauty of the 500 colors lined up side by side is art in itself. 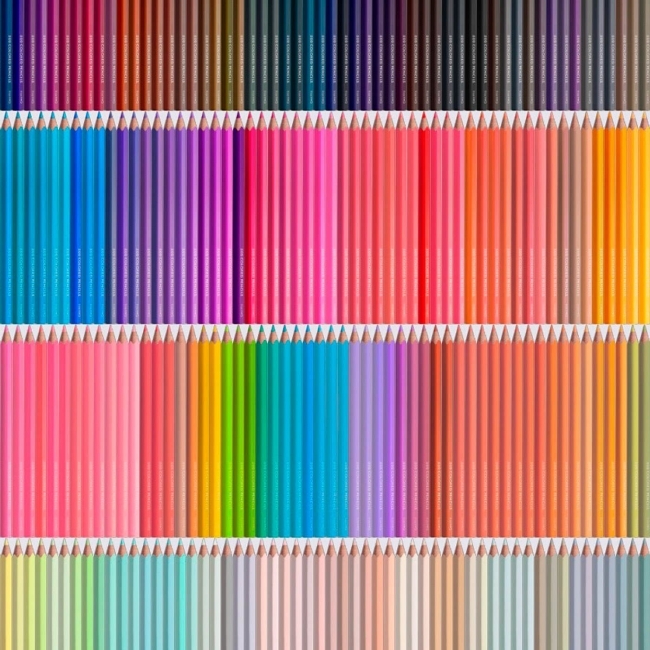 One set of 20 colors (pencils) out of 25 will be delivered once a month a total of 25 times to complete the full set of 500 colors. A rack for beautifully displaying the 500 colors is also available for purchase. 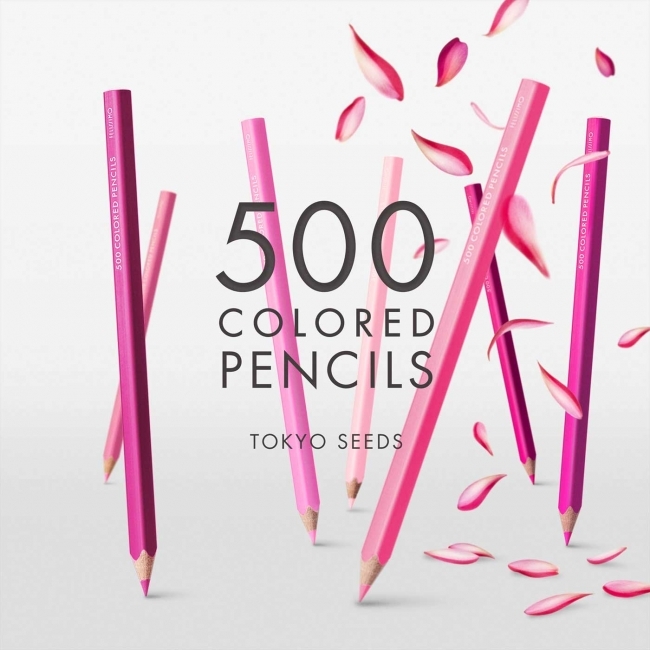 The stunning beauty of “Felissimo 500 Colored Pencils TOKYO SEEDS” when they are lined up is nothing less than art, and simply admiring them fills the heart with color. 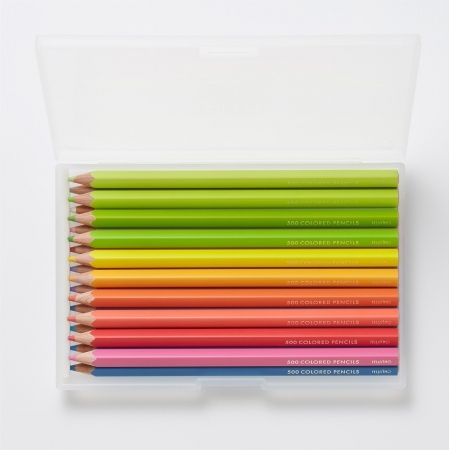 The experience of using 500 colors not found in other colored pencils or other materials sets the sensibilities free, and these 500 colored pencils bring the joy of a color-filled life to everyone who picks them up. At 3.5mm, the lead is thicker than normal and has a presence, making it smooth and easy to color with. The thick square shape is unprecedented in the series, and the edges are rounded. With 7.6mm sides, they fit easily into the hand and will not roll off your desk. 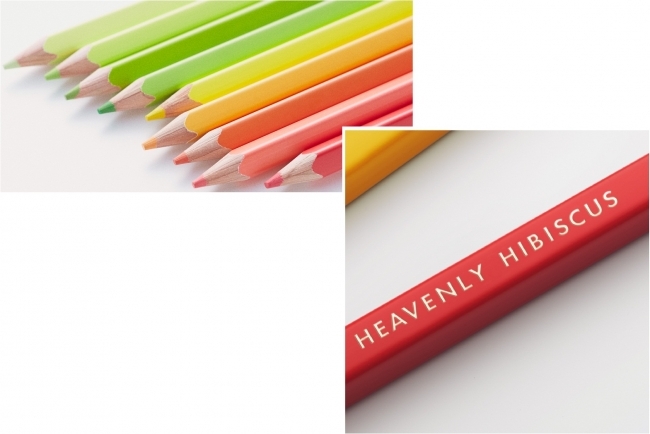 The coating has a matte finish but still features brilliant color, while the low-luster silver logo and engraved color names give the pencils even greater elegance. The 20 colors delivered each month are selected from among the 500 colors based on 25 themes in all. Twenty colors are delivered every month based on these themes. Use the themes as an inspiration for your creations. * This pencil needs to use the pencil sharpener over 11mm diameter. * This product has 25 designs. Product will be delivered once a month. * Color will be decided by Felissimo. * By ordering one time, we will automatcially send you the products for 25 months. You do not need to place order everymonth. A translucent pencil case with the “500 Colored Pencils” logo is provided with the pencils. When closed, the degree of translucency makes it very beautiful, and it’s also convenient for carrying the pencils around. 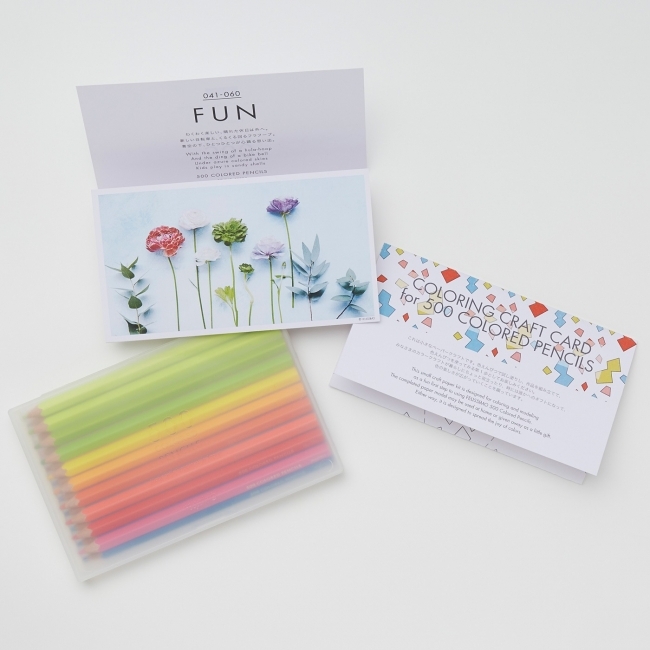 Also included in the set are an information card with beautiful depictions of the theme and fun Japanese translations of the English color names and a craft card to be the first use of the colored pencils and to be cut out for assembly. Enjoy the truly smooth writing feel of the colored pencils (Shown in the image are examples of a single set and craft card). The entire manufacturing process, from manufacturing of the lead to machining, coating and printing of the wooden body, is carried out in Japan. Not many colored lead manufacturers are left in Japan, but each color is fine-tuned to the utmost at a factory that carries on the technology. 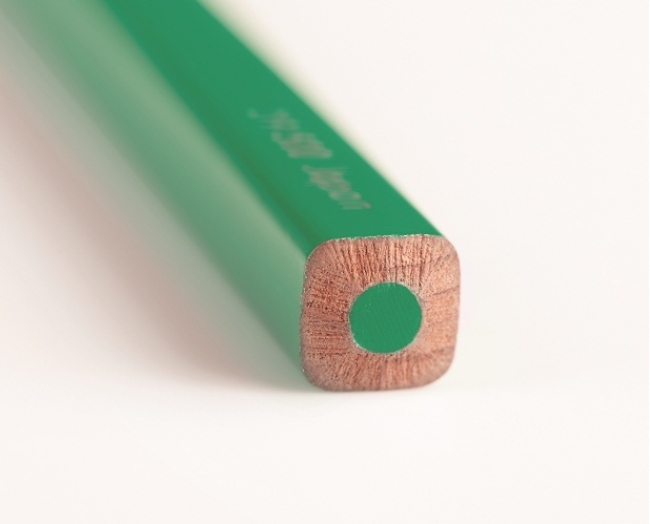 The colored pencil manufacturing industry in Japan has been hit hard by computers and the diversification of writing instruments, but the technology has been passed down, and the level of quality remains high. Manufacturing of “Felissimo 500 Colored Pencils TOKYO SEEDS” is carried out by a group of craftsmen at a manufacturer possessing unsurpassed technology in Katsushika and Arakawa, downtown areas of Tokyo. This group took up the monumental and delicate challenge of creating 500 colors. 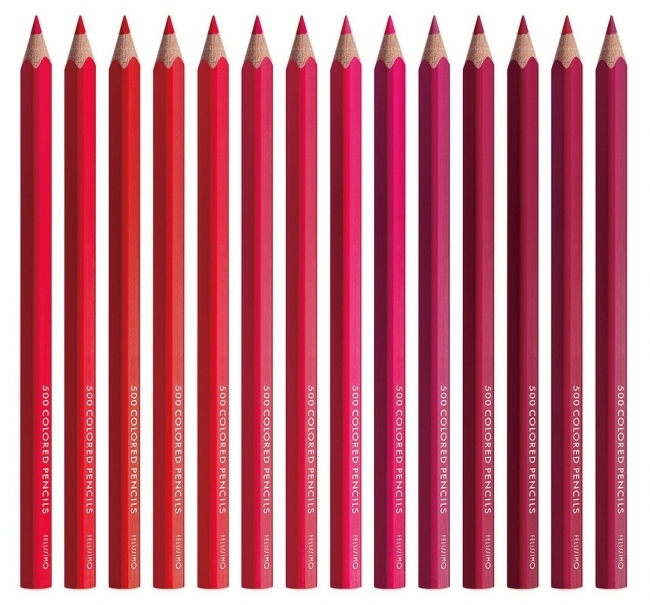 The thick, medium-hard lead has a very smooth writing feel and produces brilliant color. We want these 500 colors of happiness “seeds” created in Tokyo to bloom in the form of colorful flowers in the hands of each customer. The name “TOKYO SEEDS” was chosen as an embodiment of that desire. Trees change with the season, the sky and ocean change in appearance every second, and fruit gradually takes on color. Everything in the world brings something to every moment. These 500 colors of colored pencils express these precious moments in delicate detail. Unique names have been given to the colors to stimulate creativity, as if breathing life into each color. The 500 colors do not have names like “red” or “blue.” Among the reds are symbolic names like “New Bike,” “Heavenly Hibiscus” and “Passion Dance,” stirring imagination with each color and fostering attachment. The 20 colors in the “Starlight” theme are all metallic colors, and the 20 colors of the “Midnight” theme are all dark colors evoking the night. The 20 vivid colors of the “Party” theme include fluorescent colors. The monthly deliveries are full of surprises, and you will enjoy the excitement of the gradually increasing colors until the full 500 color set is complete. *Japanese, English, Mandarin and Cantonese are available for Customer Service. Thank you for your understanding.